Milton Toyota > Milton Toyota > Test driving a new car? Check out the technology it comes with, too. Test driving a new car? Check out the technology it comes with, too. Car shopping isn’t just about kicking the tires anymore. It’s also about testing the technology. Safety technology is also changing rapidly, and buyers should familiarize themselves with what the car can and can’t do. Some vehicles will brake automatically to avoid a collision, while others flash a warning and help the driver pump the brakes but won’t bring the car to a full stop. “Spend some time in the parking lot sitting in the car and just messing with it,” says Ron Montoya, senior consumer advice editor for the car shopping site Edmunds.com. The issue is a serious one for the auto industry. 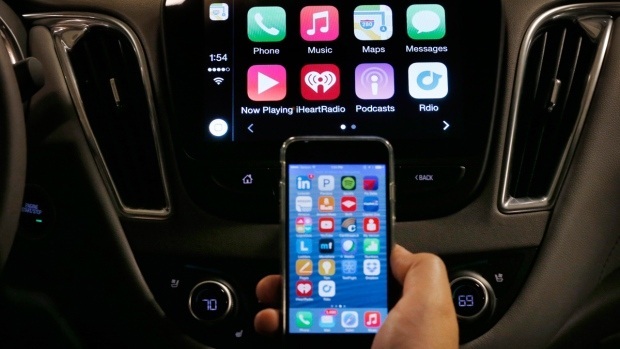 Consumers’ complaints about phone connectivity, navigation and infotainment systems have lowered vehicle dependability scores in annual rankings from J.D. Power and Consumer Reports. Poor showings in such rankings can put a dent in sales. Car shopping site Autotrader.com has found that as many as one-third of buyers will choose a different brand if they think a vehicle’s tech features are too hard to use. To combat that, some brands are setting up technology help desks at dealerships and boosting employee training. In 2013, General Motors Co. formed a staff of 50 tech specialists to help deal with an increase in questions from customers about new technology. Those specialists train U.S. dealers to pair customers’ phones, set up in-car Wi-Fi and set preferences like radio stations. When he takes customers for test drives, Paul Makowski pairs his own phone with the car and has customers make a call, stream music and do other tasks. He uses his own phone so customers don’t worry that their data will be shared with the dealership. “Some people fear the technology and decline it all, but we still go over it. They don’t leave here not knowing what their car has to offer,” says Makowski, the sales manager for Ed Rinke Chevrolet Buick GMC in Center Line, Michigan. Here are some tips for taking a tech test drive.